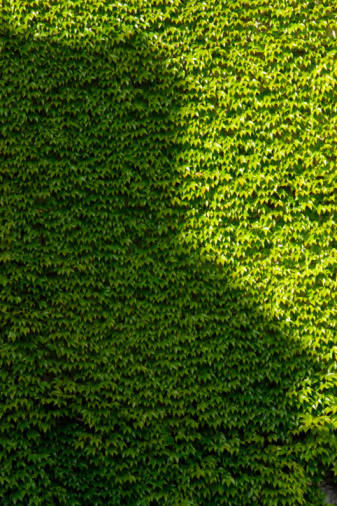 Cedar hedges are sensitive to damage. Insects and diseases easily may spread to hedges. 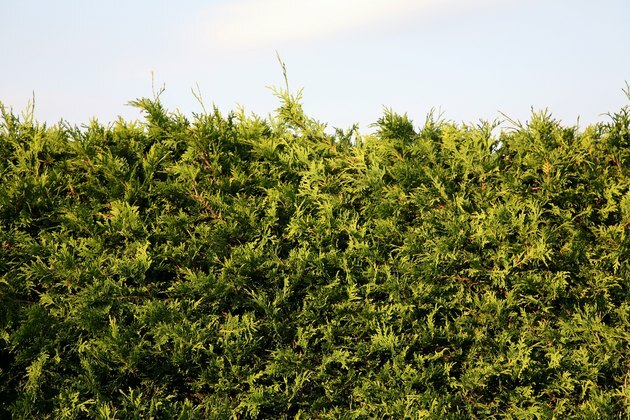 It is important to repair damaged areas of cedar hedges to protect other cedars and plants in your yard. Storm damage and high winds may damage even healthy cedar hedges. Learn how to repair damaged cedar hedges to keep your yard looking healthy and attractive, even after natural disasters and other garden trauma have taken place. Wrap cedar shrubs in burlap at the beginning of the winter season to protect plants from scalding wind and sunburn. Cover the entire shrub with burlap, but not so tightly it causes stems to snap or foliage to be damaged. Mound snow or loose leaves around the cedar shrubs instead of burlap if you prefer. Trim away dead leaves using garden shears in summer (June or July), but do not trim so much that bald spots are created or you drastically alter the shape of the shrub. Cut away any dead or dying branches resulting from damage or ordinary growth patterns. Prevent infection sites on cedar stems by removing crossed branch pairs, cutting one of the branches away to promote healthy growth. Cut any weak branches that could snap in the event of heavy storms, snows or wind.